Headset microphone wired for Sure transmitters. These Headset microphones, work great with many available wireless transmitters. 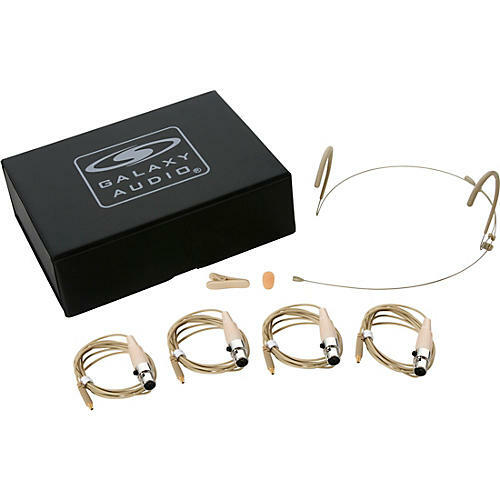 Galaxy Audio's detachable cables can be wired to work with transmitters made by Galaxy Audio, AKG, Shure, Audio-Technica & Sennheiser. This one comes equipped with a Shure terminus. Lightweight headset for wireless systems. Share wiring. Order today.